Do you have any of your kids’ toys in your living room? Is your space organized or always in a chaos? My girls have some of their toys in our living room. I’ve tried lots of different ways to keep our space organized and cleaned. 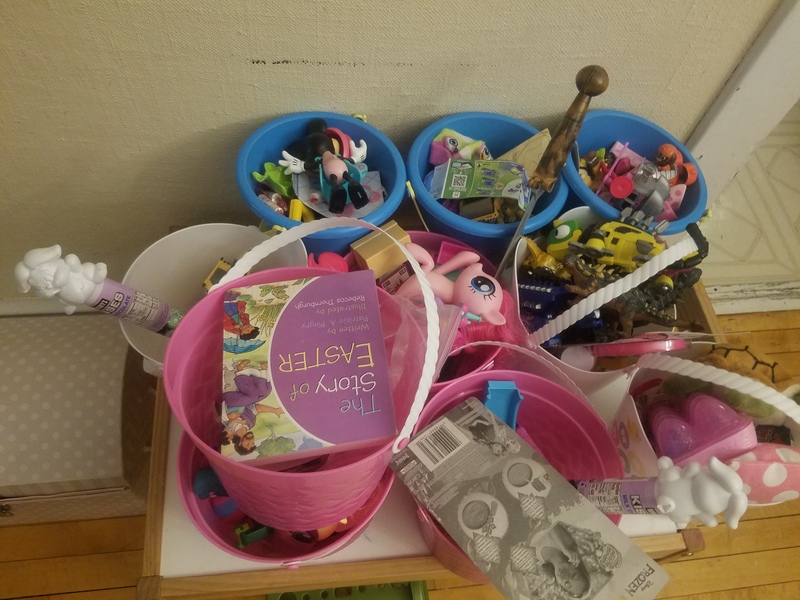 Our living room is still in chaos more than I would like, but I’ve come of with solutions to make my life easier when it comes to keeping my girls’ toys in the living room. Below are 6 ways to organize and clean up toys in your living room. 1. 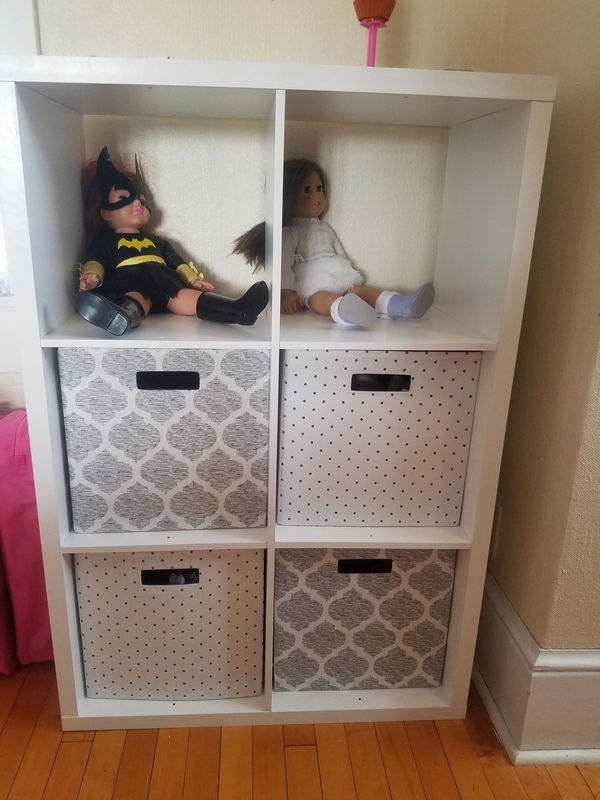 Use shelves and baskets to hide toys. I have couple six cubed shelves with baskets where I store my girls’ toys. Some of the baskets have a stylish design and some are a fun design that go well together. You can also use the top of the shelves to display your decor. 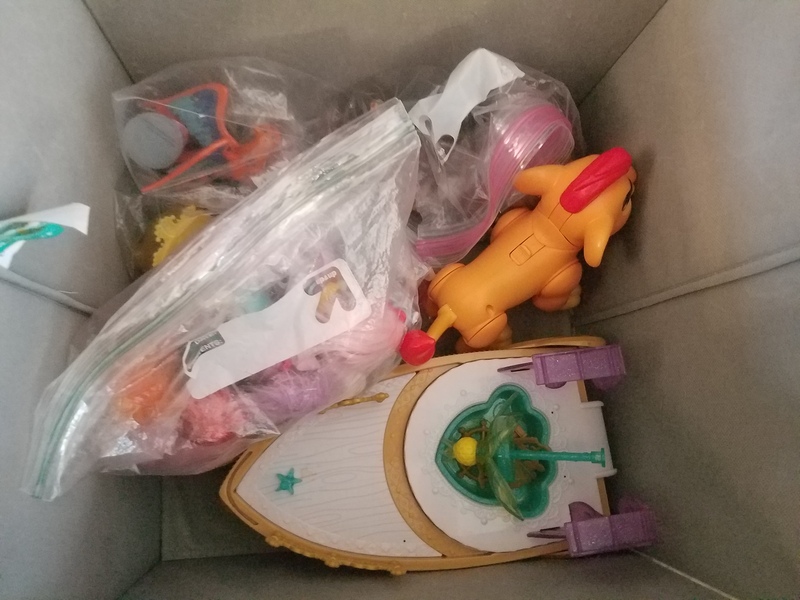 The baskets store my girls’ character toys from movies and cartoons. It’s a great space to store their toys while hiding them at the same time. 2. Create stations for the toys. We have stations for dolls, legos, animals, characters from movies/cartoons, etc. In the doll station, I have my girls’ American girl dolls and super hero dolls on display. 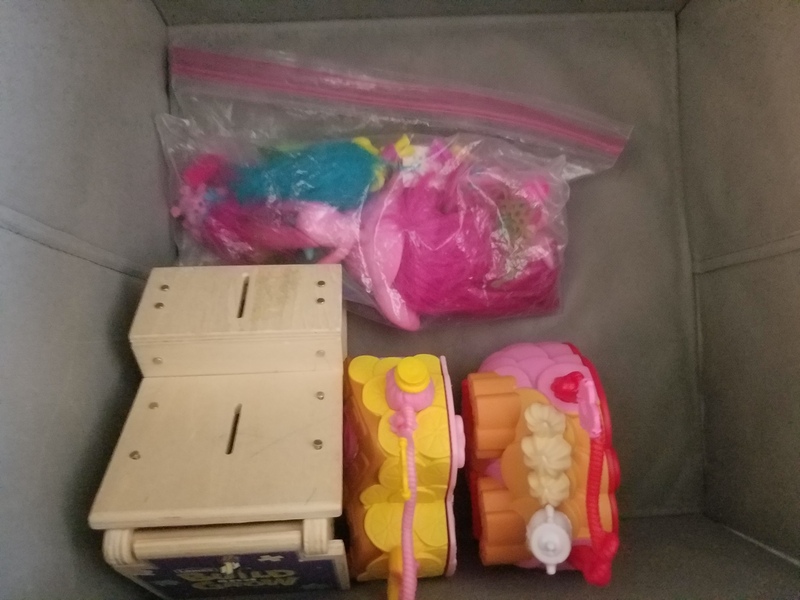 They can have fun in this station by changing their dolls clothes, taking them to the salon, feeding them food, or simply playing with other dolls. In the Lego station, my girls can have fun by building their own creations or following the directions. 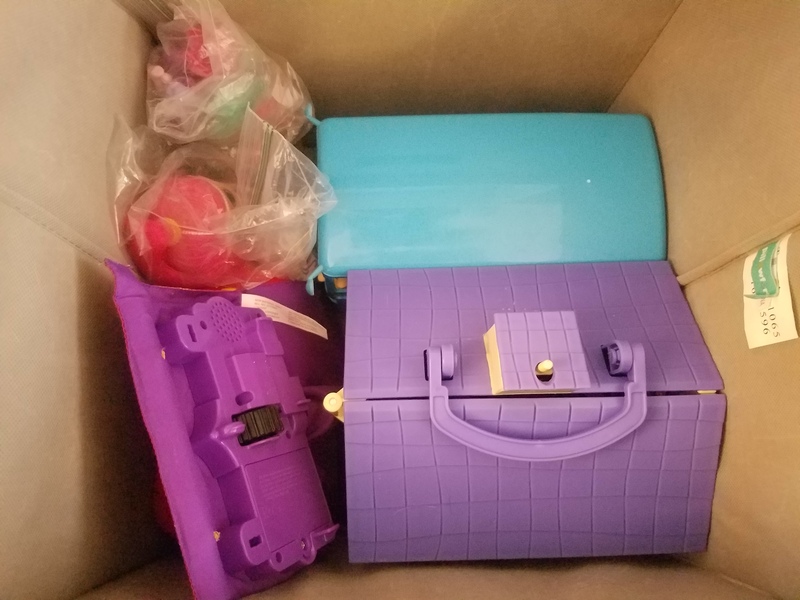 We have a 3 drawer container with Lego Duplo bricks, which is especially great for my daughter, Elizabeth, who will be 2 this weekend. We also have a Lego stand to store 3 cases for the smaller Lego bricks. My girls, Katie and Sophia, love building any sets such as Disney, Super Hero Girls, or Lego Friends. My girls are in this area practically every day. 3. 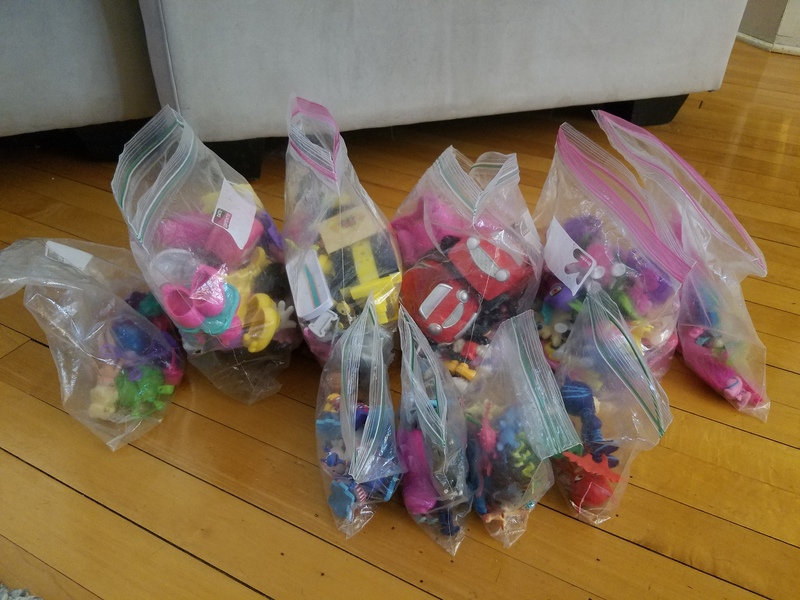 Store similar smaller toys in plastic bags. 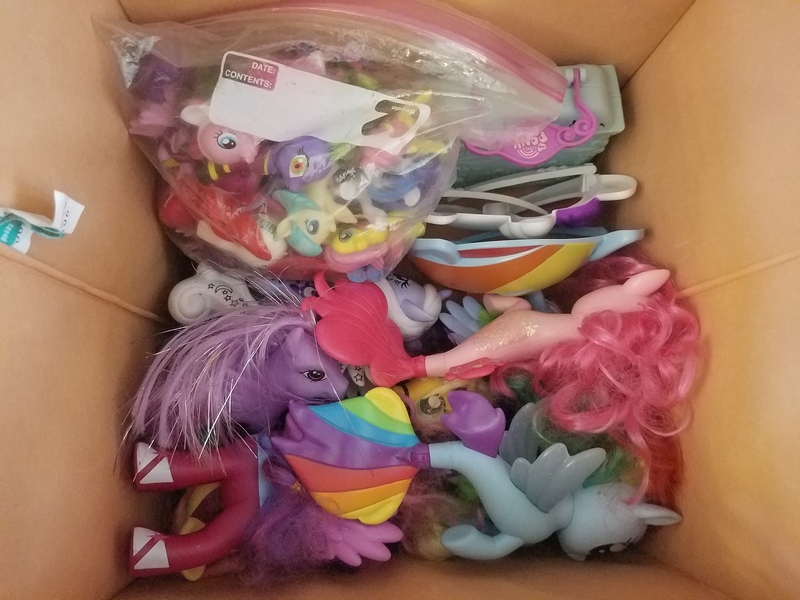 My girls are able to grab a bag of toys such as Paw Patrol, Minnie Mouse, My Little Ponies, etc. whenever they want to play with them. This makes playing and clean up easier. You don’t have to search through a basket to find a certain character your kid is looking for when they can’t find it. 4. Have your kids help you clean up the toys. This is a given. Your kids should be helping you even if they aren’t all the time. I’ve struggled with this as well. Katie doesn’t mind cleaning and she usually doesn’t need any guidance. I usually have to tell Sophia exactly what I want her to do or help her with a task. Elizabeth is a great helper when I tell her to clean toys up. 5. 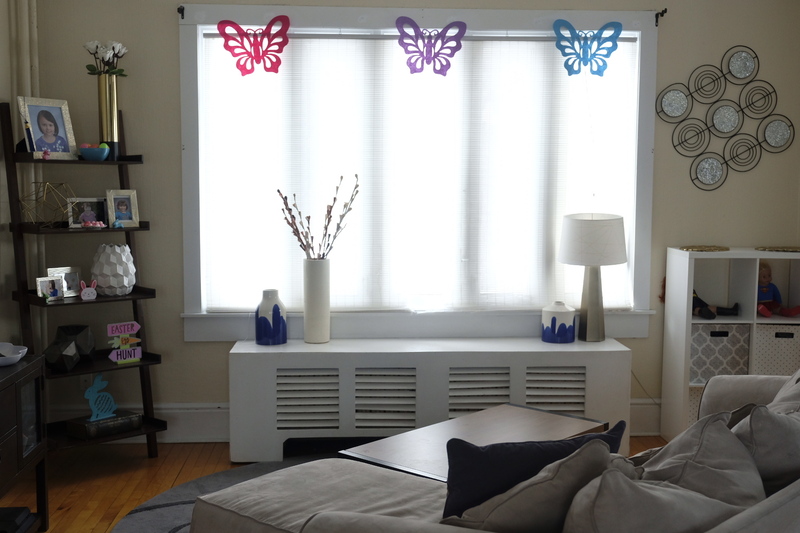 Use baskets to quickly clean up toys in your living room. This definitely helps if there is a lot of toys all over the floor. I find it is much easier if I grab the toys all over the floor and place them in baskets or in one pile on the floor. 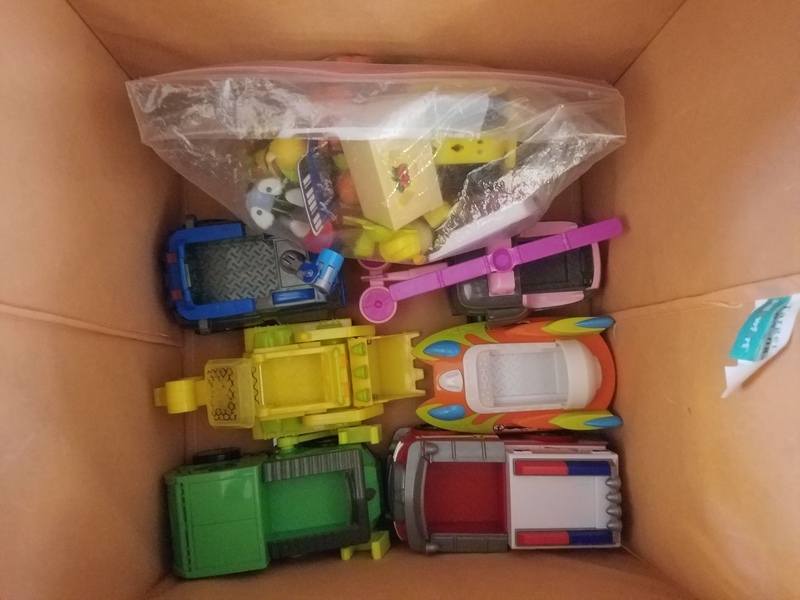 After that I can put the toys where they go. I then can vacuum and sweep the floor. 6. Make cleaning up toys a race. I’ll race my girls in cleaning up the living room while I clean the kitchen. 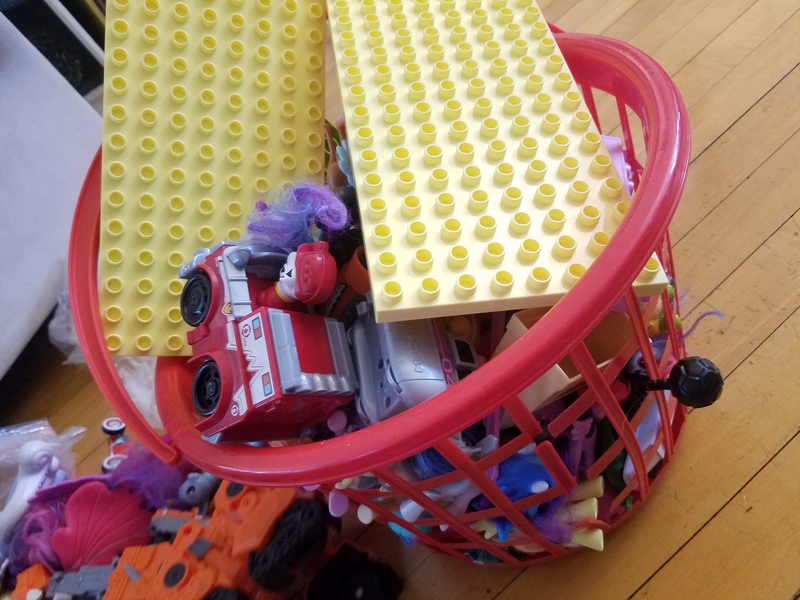 I let them put toys in baskets so they can clean up fast. They don’t want me to beat them at cleaning up. Sometimes I’ll also reward them for filling up several baskets each. 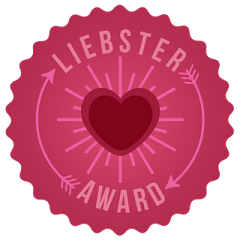 They’ll get rewards such as a sticker, bubble gum, or iPad time depending on how much they clean up. 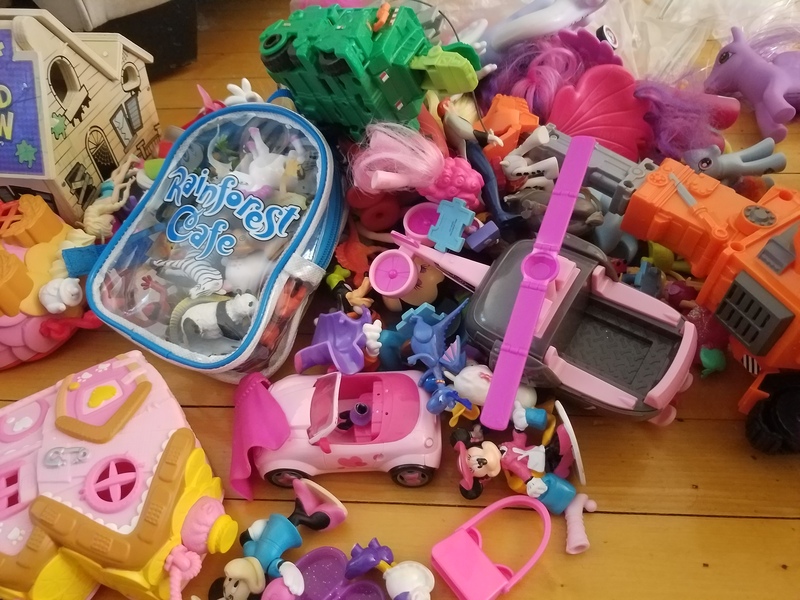 Which of these tips is going to help you organize and clean up toys in your living room? What works for you when it comes to keeping your living room in order? Next Post The Circus is in our House! These are some great ideas and I use most of them as well. Thank God for cute cube shelves and baskets to make your living space still look beautiful, right?? I love the race idea! I will be using that one for sure. Thank you for sharing! We have those cube shelves as well, but toys are a constant battle in my home! Getting the kids to put things a way becomes a struggle by the end of the school week. 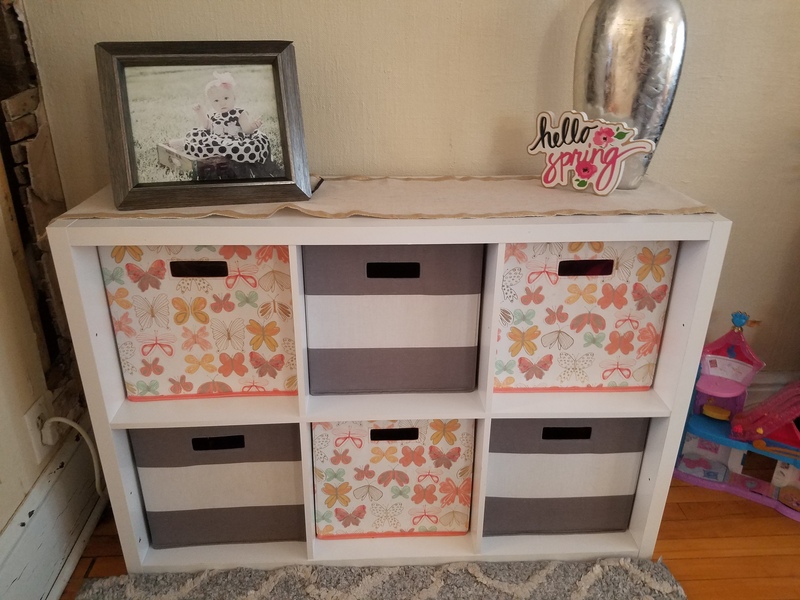 These are some great organization ideas. We also make clean up a race for our kids! It works wonders! You’ve done such an incredible job cleaning up and organizing. It looks so much nicer, and the way you’ve organized everything is so pretty, too! I loveee those shelves with the bins to hide things. I only have a three month old but I know I will use these! Great tips! I love them too! 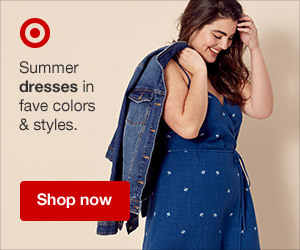 Target has many options for baskets. 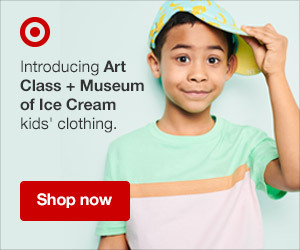 Cute ones for kids too! A lot of those look familiar! LOL. My kids are bigger and the toys still manage to find their way all around the house! It’s magic! I love the idea of giving them a basket and having them just put as much in it as possible. I can help them sort it after, but getting it OFF the floor is a huge step! This looks great! 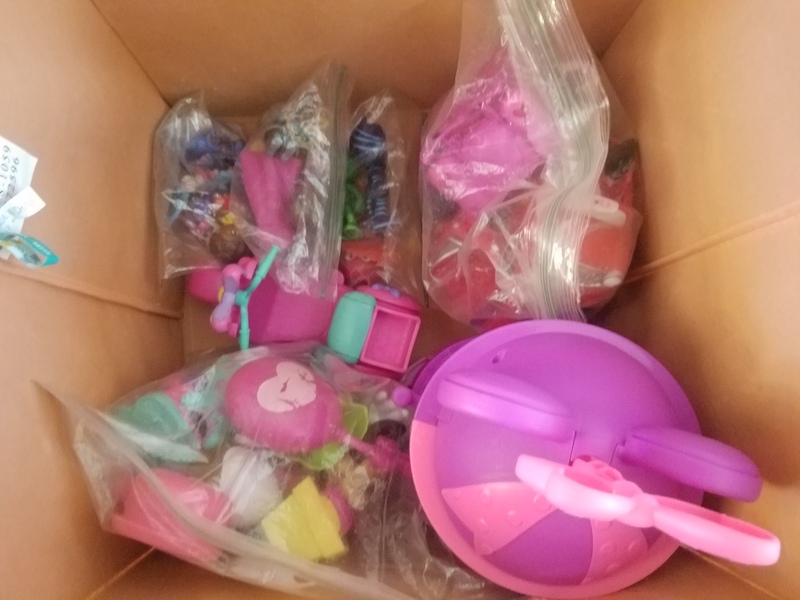 I use the bins as well to hide toys, and am working with my granddaughter on learning to help pick up toys together. Good to learn early. Love all these ideas especially since I’m always stepping on something of my four year olds. I love baskets and storage bens. My kids love playing the race game there is always a prize at the end if they did well! I definitely need this tip–our living room is currently swamped with toys! The Lego storage/play area looks great. I’ll have to try that! This is constant struggle with my son’s tiny Lego pieces and Hot Wheels cars! ALL those tiny pieces are so difficult to manage. I did make a Lego station in his room – even did a blog post about it a few months ago! Now, I am thinking I need one in the living room too! I really like the cube storage! 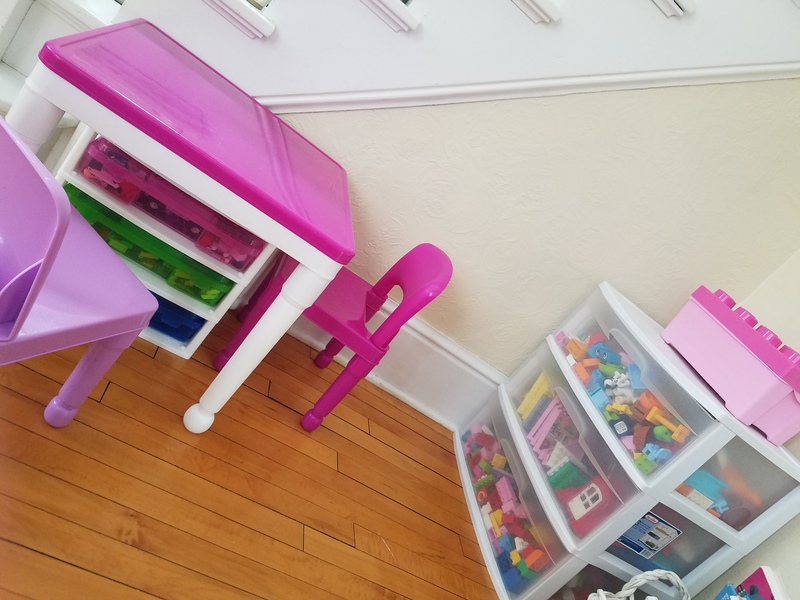 Such great tips for organizing toys! Very tidy and easy for the kids to help with the clean up as well. I don’t have kids but my friends do and they’re always trying to create some order in their living rooms. I will def letting them know about your tips. Thanks! This is a great list with good tips. I live in asmall apartment, so toys are always all over ou main living area.